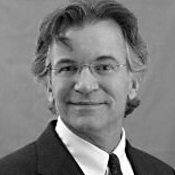 Paul Rapp is an intellectual property lawyer and writer who lives and works in Housatonic, MA. Rapp teaches art & entertainment law at Albany Law School and MCLA, and writes the column “Rapp on This” for Metroland. Also known as F. Lee Harvey Blotto, drummer for the rock band Blotto, he holds the distinction of having appeared on MYV on the channel?s first day of broadcasting, August 1, 1981. He most recently was a panelist at the Future of Music Coalition Policy Summit in Washington DC. At TEDxAlbany, Mr. Rapp will explore whether copyright law makes any sense anymore in the age of unlimited duplication and distribution of digital media, and how copyright law has been used to stifle creativity and to prop up the outmoded business models of the Big Media companies.